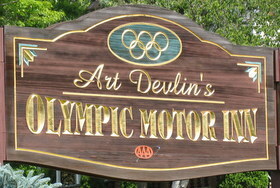 Art Devlin’s Olympic Motor Inn in Lake Placid, New York is a long-established motel overlooking the Adirondack Mountains. The 50 room motel is built on two and a half acres that allows for spacious grounds and many gardens. 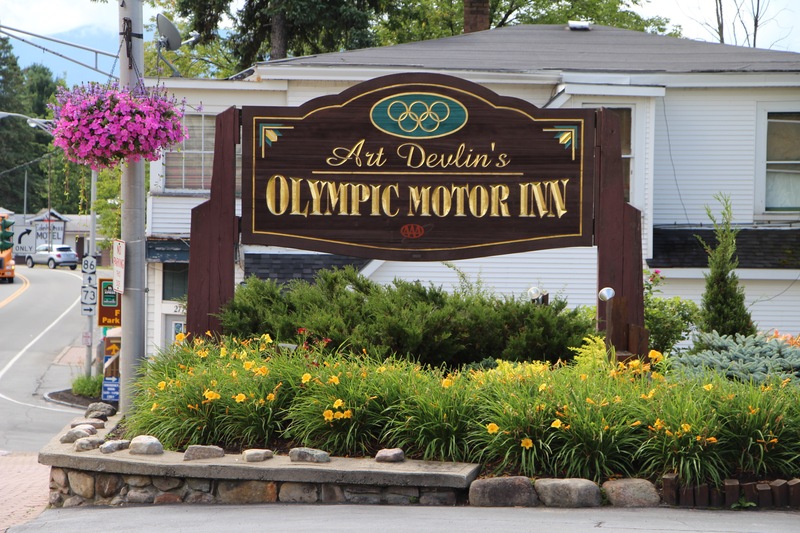 We are centrally located to Lake Placid’s Olympic sites, hiking, shopping, and the areas major attractions. The Olympic Center, 3 blocks away, hosts hockey and figure skating events and is also the home of the Olympic Museum. The Lake Placid Resorts golf course and cross country ski trails are two blocks away. Variety of beautiful hiking trails in the area. Easy walk to the Main Street and Mirror Lake. Whiteface Mountain for winter skiing and summer gondola rides. Scenic highway is nine miles away.